It is exciting to mine blocks in Speed Miner 2. Within 60 seconds, can you guess how many blocks you are going to mine? Let test the speed of your fingers here! 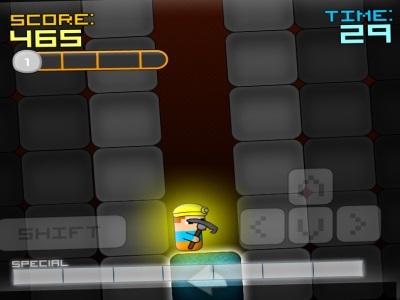 Arrow on the blocks will tell you which arrow keys you will press to destroy blocks. While mining, you will see TNT. Pressing Shift key will activate TNT and clear all the blocks around. Train your fingers and mine as hard as you can to gain a high score! Besides Speed Miner 2, Speed Miner also has Speed Miner and Speed Miner 3. Thank you for playing game at our site! Arrow keys are to mine blocks. Shift key is to operate TNT. Space key is to activate Special.